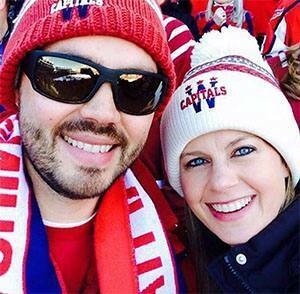 During the game, Amanda was wearing a jersey sent to her by a college acquaintance who knew her devotion to the team. On the back of the jersey is #AMANDASTRONG and the No. 20. That's the number Amanda wore in high school as she helped lead her team to a state soccer championship. (It's also Eller's number, which made that game-winning goal even sweeter.) 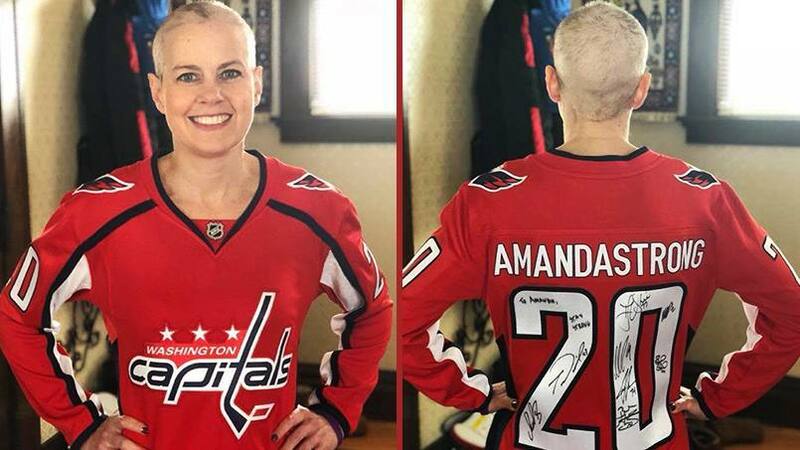 Amanda has worn the jersey for every playoff game since, reports The Washington Post, including game 3 of the conference finals, which she and Adrian attended between her chemotherapy and radiation treatments, and game 7, which put the Caps in the Stanley Cup Finals for the first time in 20 years. (There's that number again.) Read the rest of Amanda's story.